The Myers-Briggs Type Indicator® and the Murphy-Meisgeier Type Indicator for Children® assessments share a common theoretical basis: Carl Jung's conception of psychological type as expanded by the work of Isabel Myers. 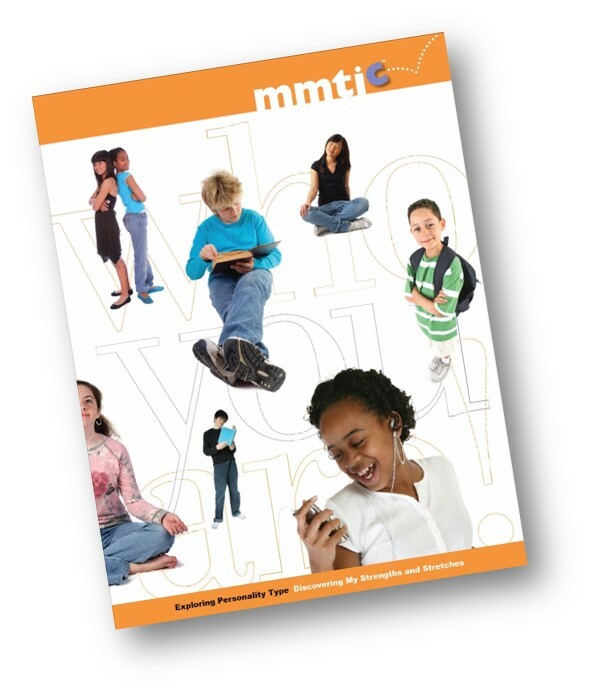 The primary difference in the two instruments is the age groups they target: the MBTI® assessment was developed for adults, while the MMTIC® assessment is intended for use with children and teenagers. Student development and learning is influenced not only by a young person's personality type, but by the psychological type of the significant adults in their life. Understanding both sides of the communication patterns that influence a child's learning necessitates knowledge of the type preferences of not only the child, but also of parents and teachers. Use of both the MBTI and MMTIC instruments in tandem in the classroom can help both teachers and students to understand that differences are natural and appropriate and that some kind of accommodation should be made for these diverse communication and learning styles. Once psychological type preferences are known and understood, there are many resources available to help parents, teachers, and children improve communication, understanding, and learning through awareness of one another's personality type preferences.